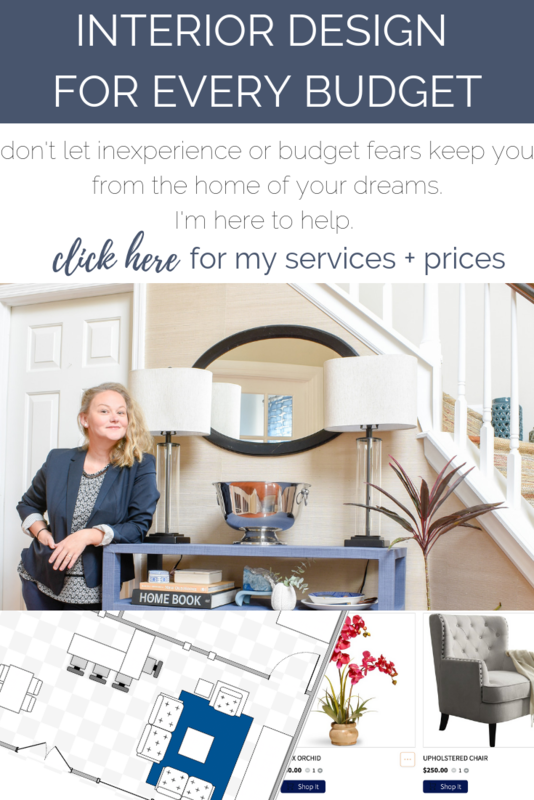 How To Pinpoint Your Decorating Style - I'm always hearing from people who say they just can't pinpoint their style. I totally understand that. People like pretty things. So when a room is pretty, regardless of the style, we tend to consider it "our style" simply because we enjoy looking at it. But simply enjoying looking at it doesn't make it appropriate for our own homes. Here's a test. It's extreme. I've taken two opposing ends of the design spectrum and made mood boards for a home office. Imagine you'll be spending your whole day in this room. Don't consider practical things like "Is this plush enough?". Those considerations are important when it comes to real-life decorating, for sure. But for our purposes here, let's just talk style. Which of these two rooms makes you the happiest? 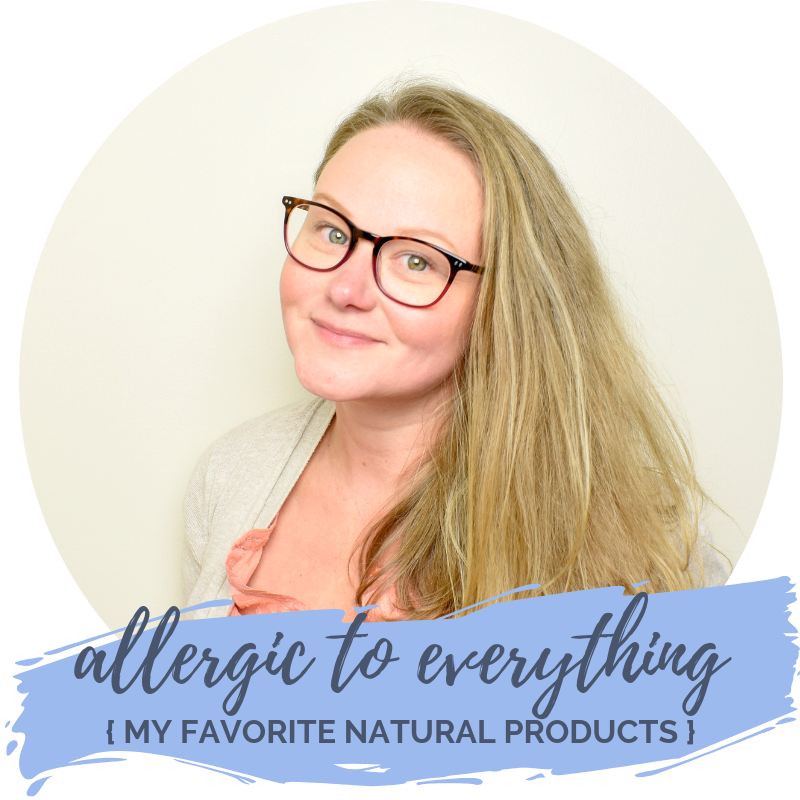 If neither is exactly what you like, no worries. Pick your favorite. 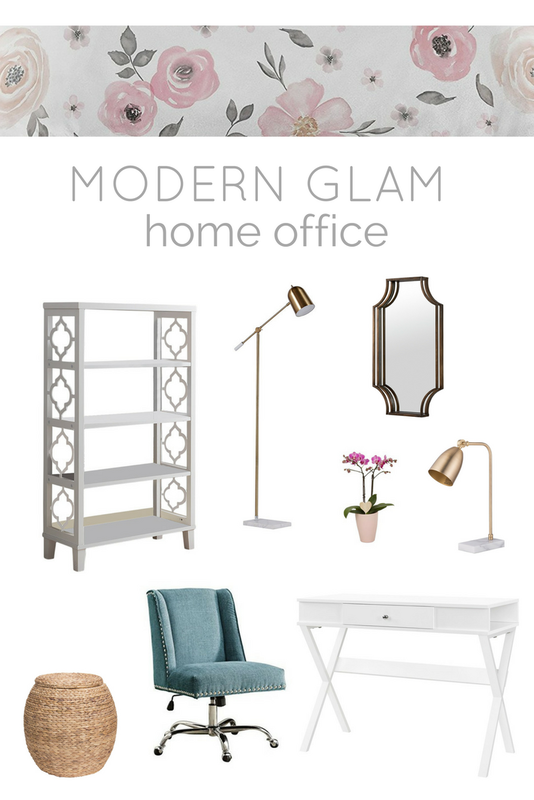 If you found the Modern Glam office to be your favorite, your tastes lean more towards what I call the fancy side of the spectrum. You like a space that feels polished and complete. Coordinating fabrics and high sheen metals are hallmarks of your favorite rooms. To inch closer to your exact taste, you'll likely find the most inspiration from the top three decor styles. Sleek and stylish clean lines and monochromatic color palettes are staples of Modern and Contemporary design. Check out this living room from Interior Designer, Claudia Leccacorvi for inspiration. Mixes of pattern in textiles, furniture, and wallpaper are custom in traditional style. Here's a beautiful bedroom designed by Joan Craig and Gemma Parker-McKeon to inspire you. Global design is an accumulation of different styles from around the world that very distinct characteristics on their own, but are often combined. Moroccan tiles, bamboo blinds, ornate wood carvings, and plush turkish rugs are all staples of Global home design. You'd never guess this patio, designed by Martin Lawrence Bullard, overlooks a canyon in Los Angeles. It feels like a vacation. If you found the Modern Farmhouse office more appealing, you're not alone! According to Pinterest, "Modern Farmhouse" was the most searched term in 2017. Half the nation collectively wept when Chip and Joanna Gaines announced they were cancelling their TV show. And I conducted a very scientific poll in my Instagram stories last week that led to a unanimous "YES! 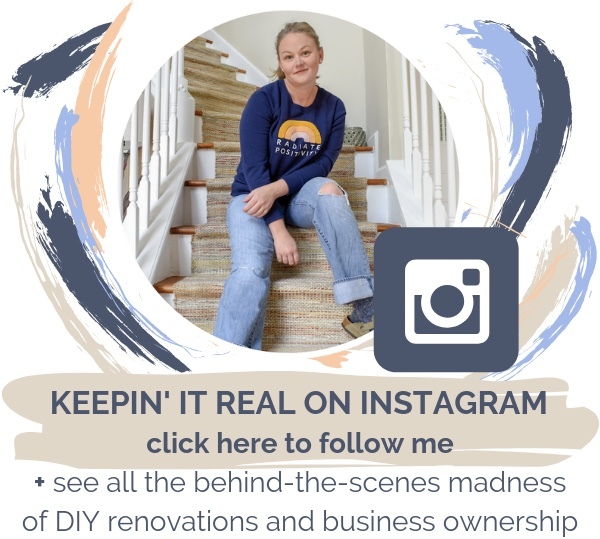 Modern Farmhouse is all the rage!" vote. People love this style. There's something very cozy and achievable about it. But there are a lot of people (like me!) who appreciate the simplicity and comfort but don't really want to start collecting vintage farm signs either. If you love the accessibility and leisure of Modern Farmhouse, but find yourself a little put-off by the whole "farmhouse" part, you might enjoy these Top 3 alternatives. Ikea has had a huge role in establishing the global market for inexpensive modern decor, no doubt. But the mega retailer rarely gets credit for its other major accomplishment: Introducing the laid-back chic Scandinavian style to the rest of the world. Google search "Hygge" and you'll find thousands of images containing plush throws and neutral, candlelit rooms. Americans really do love this style. Modern furniture style in traditional and rustic finishes make this Scandinavian living room feel clean, minimal, and cozy. We've all seen some baaaaaaaad fish decor in hotel rooms. That is not what I'm talking about. Coastal decor is inspired by the ocean, but doesn't scream "WE ARE AT THE BEACH AND THAT'S WHERE FISH LIVE". Rather, this style is achieved by incorporating natural sand tones with blue and green hues and tops it off with a little whitewash for effect. My favorite place to spot Coastal design is in bathrooms, like this one by Evans Architects in Los Angeles. I could write a whole post about this style. Partially because I love it, partially because the term is now used so broadly that it has almost no meaning, and partially because the history of MidCentury design is very interesting and involves a mission to create affordable housing for everyone and also Nazis. But I'm not going to go into details right now. Maybe I'll do that one day, but for now, just Google "Bauhaus" (not the band) and you can learn about the roots of MidCentury design and, I'm telling you, they're deep and DRAMATIC. Generally, midcentury design is based on modern home furnishings that were created post-WWII and prior to 1965. So, no, your mother's floral tea towels do not count. That's vintage, not midcentury. Hairpin legs, bent pressed wood, warm primary colors, and rounded seating are all staples of MidCentury design. These days, I'm a fan of sprinkling in a few pieces here and there. Too many period pieces and the room will look like a set, not a home. This small workstation, designed by Destination Nursery, achieves the perfect balance. If you loved the Modern Farmhouse mood board but didn't really jive with any of these other spaces, you might just love Modern Farmhouse style. Pinpointing your own style can be hard work. It can take a while. It really helps if you immerse yourself in other peoples' rooms. When you find a photo you like, analyze it. Every piece. You like the drapes? If so, in which of the aforementioned rooms would they fit best? 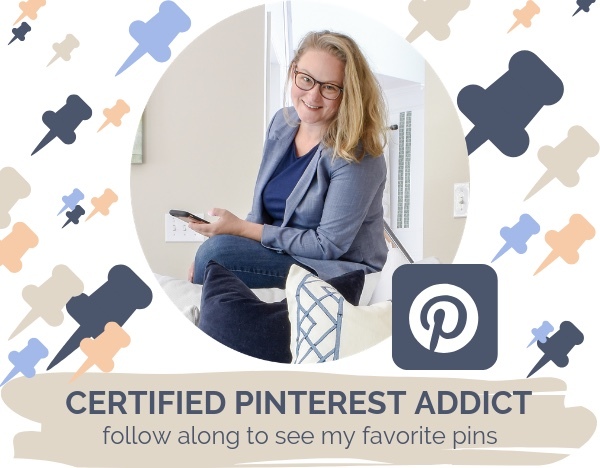 Join Pinterest and start pinning every room you see that feels good to you. But don't just pin them and leave them. Look back on your pins every few days. See if you can determine a common theme. Click on the links. Read the blogs and articles in which the images originally appear. Sometimes, the original author has already broken down the room style for you. Now that you have a better idea of your style, you can now move on to incorporating some new pieces into your room to bring it out. That’s a great place to start! Of course if you need more help, reach out. Here are my services and rates. 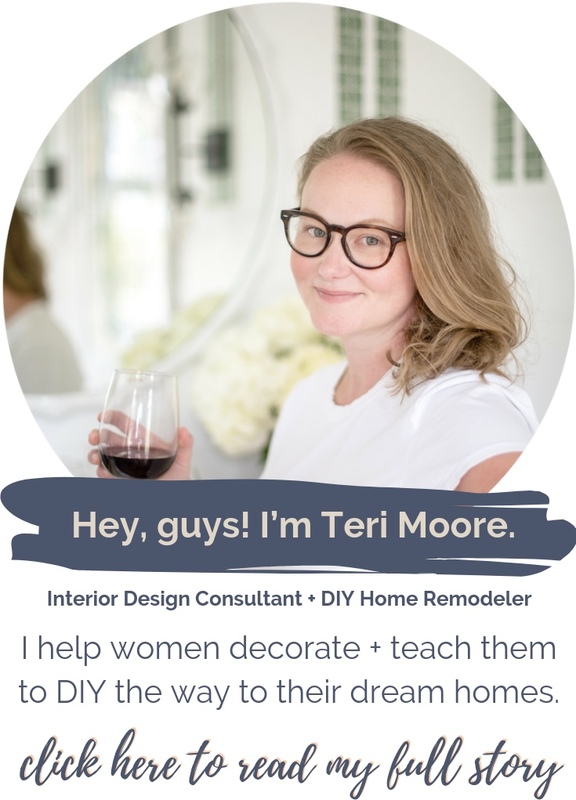 You can also sign up for my weekly newsletter (click here) to have exclusive tips + decorating hacks emailed right to you!